Sometimes the best way to display your decorative plants is to use contrast. And new trends will have you using the graceful elegance of an antique birdcage to show off all the robust greenery of your favourite succulents! Gardening trends take unexpected directions sometimes. I don’t know where we got the idea to repurpose old bird cages into succulents planters (although I do suspect Pinterest), but I love it! 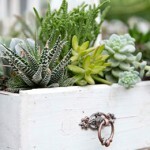 As it turns out, succulents and vintage bird cages are like peanut butter and jam. They compliment each other perfectly; nostalgic decor meets dynamic form. If you want to jump in and turn some heads, you’ll probably need to DIY. Pre-planted cages are just starting to find their way to store shelves. Birdcage with at least 1” lip on the bottom. If you don’t have one, road trip to the antique mall! Measure (or guesstimate) the inside diameter of your birdcage. Aim for about 1 succulent plant per 2” of diameter. So if it’s 6” wide, plant three; 12” wide plant six, etc. For larger cages (12” and over), start following the “Thriller/ Filler/ Spiller” rule of thumb for containers. Find a larger centerpiece, surround with lower fillers, and have your trailers spill out the bottom. Thriller: Opt for an Aloe Vera, Jade, or a tall Aeonium (I like the black ones, like Zwartkop). Many skip this step altogether, so it’s up to you. 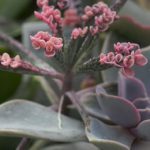 Filler: Echeverias (rosette succulents) are the stars of birdcage gardens. 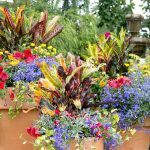 Plant a range of colours, from green to pink to dark, and they’ll grow into a gorgeously eclectic clusters. Sedums, crassulas, and other little guys work well, too. Spiller: You’re limited in your options here. The popular choice is string of pearls because it takes up very little room in the birdcage but hangs a long way down. You could use Burrow’s Tail but it’s very slow growing. Eventually your fillers will send runners and start to dangle. You could also use annual vines with a succulent vibe, like Live Wire vine (Muehlenbeckia) or Spider plant. Just make sure they don’t need much water. If your birdcage has a solid bottom, you can either drill holes or commit to being very vigilant about watering levels. If it has a mesh bottom or open bottom (recommended), skip the plastic and lay down coco liner or sheet moss to allow for drainage (and more flexibility in what you can plant). 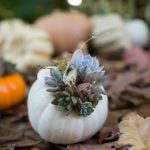 You’re essentially building a terrarium, with the same layering technique. You don’t need to limit yourself to succulents. An old birdcage makes a gorgeous alternative to a hanging basket for annuals. 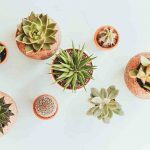 Just replace cactus soil with peat-based potting mix (the same as you’d use in your planters) and start planting! The sight of long white streams of Bacopa and lavish bunches of Supertunias bursting from a birdcage is patio poetry. Make sure to fertilize as much as you would a hanging basket.